A number of wise people have told me booze doesn’t heal. Now, I never taught Symbolic Logic, but I know a thing or two about developing an argument and there are plenty here to challenge such a blasphemous statement. That said, a little – taking off of the edge goes a long way for an evening that calls for it. Tonight, we delve into one of the finer things in life we haven’t spent time on talking about. Bourbon. A beautiful seven-lettered word that brings sparkles into the eye’s of men flashing memories of good times and more to come. To take me back literally and figuratively, my go-to is Bookers at 128.5 proof. This cowboy comes out of Clermont, Kentucky. It’s the only bourbon bottled straight from the barrel, uncut and unfiltered. From what we understand it is bottled at it’s natural proof of 121 – 127 proof and aged for up to 8 years. Everything about this Bookers is intense, from the taste through to the finish. Generally, I like my browns with a slight bit of water to open her up. This one calls for an ice cube or two given it’s strength. Smells a bit woody, but hints of vanilla and something smoky sting the nostril. Taste is a bit fruity and tobacco’y. It’s darned good. Get some! Last year we rode down to D.C. for Rolling Thunder. One particular day, we rode quite a few miles to the southern tip of Virginia to make a truly special, Memorial Day delivery and when we got back we were toasted. We went through the flask of Jack and then started banging back my flask of Bookers. Combined with a bit of sweet cola these relatively few in number knocked us on our asses. 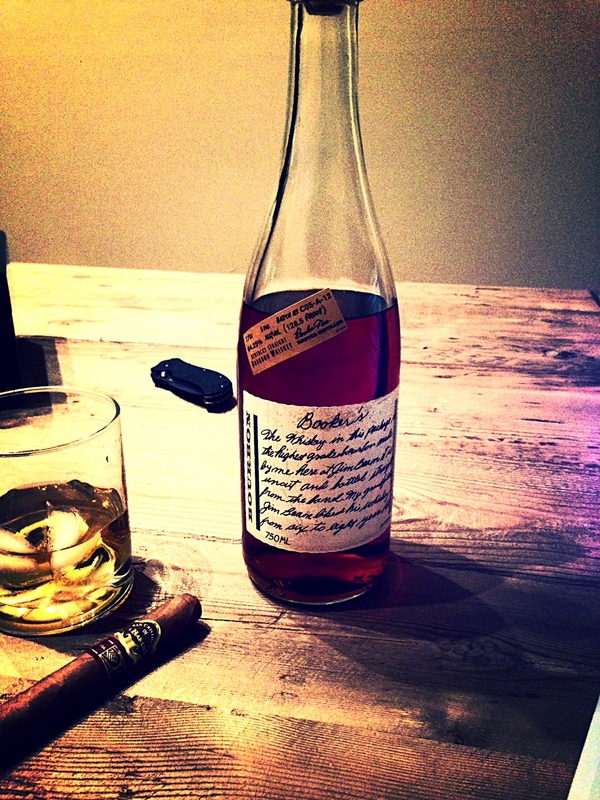 You see – bourbon brings back memories of happy times for men – and women too. ← A Call to Arms – Congress has shut down our best riding roads!